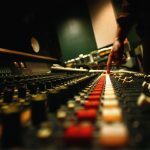 Are you an artist who thinks that if you just had a manager to guide you music career you would „make it in the music business“? A manager is primarily responsible for building your Music Business brand. A Music Business Manager also handles the organizational and administrative aspects of your career in the Music Business. Back in the day, good Music Business Managers could charge their percentage based on the fact that they had „connections“ with A&R Reps, Entertainment Lawyers, Media Outlet’s etc.. That was back in the day. Sure, there are still home high-powered Music Business Managers out there, but they are a dying breed. Today’s best Music Business Managers are often the artists themselves. Many artist’s, in the Music Business book their own shows, sell their own products and market themselves way better than any manager (with a long client list) could do. In today’s Music Business, you must be able to wear a creative hat as well as a business persons [Music Business Manager] hat. We’ve all heard horror stories of Music Business Managers ripping their artist off. The most famous recent example is Ruben Studdard. It was reported that Rubens‘ Manager [allegedly] ripped the R&B Teddy Bear, off so bad that Ruben couldn’t afford to buy a home of his own. I also have a www.myspace.com friend who booked Ruben for a concert in 2005. As the story goes, the deal was done, Ruben even flew coach to make the show happen. When Ruben got off of the plane his manager hadn’t secured any money in advance. Of course, Mr. Studdard didn’t perform and my friend lost a great promotion and multiple thousands of dollars. If you are your own Music Business Manager, you’ll most likely have the best client and the best manager.